This person is believed to be the creator and developer of card counting strategy: Edward Oakley Thorp had found the method of beating blackjack and described it in his bestselling book of 1962 - Beat the Dealer; he was one of 7 initial nominees of the Blackjack Hall of Fame for his input to the blackjack game development together with Roger Baldwin and Ken Uston though he was not a passionate blackjack gambler at all: Mr. Thorp's passion was physics and mathematics, as well as their usage in different spheres, including blackjack. 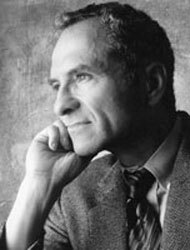 Edward Thorp has two university degrees: he is a Master of Physics and a Doctor of Mathematics; he worked as a teacher of these two subjects in such universities as UCLA, MIT, NMSU and UC Irvine. Once Edward Thorp read the article in a journal, he became interested in blackjack and an opportunity to beat it using mathematical methods. His thoughts were the following: if to count the cards dealt to a player and a dealer, it will be possible to determine what cards are still in a shoe and predict the final result in such a way. The main principle of card counting was born in such a way; and today, all blackjack strategies are based on Thorp's calculations. Together with his good friend, Claude Shannon, Edward Thorp began to visit Las Vegas casinos in order to see whether his theory of card counting worked; they went there every weekend and were able to win rather big sums of money. Being an engineer, Shannon even invented the advantage-play computer then! So, card counting technique had been checked and proved to work, and it was a high time to share it with all other blackjack gamblers. In 1962 Edward Thorp published his first book Beat the Dealer where he explained card counting to average gamblers in a way understandable for them; this book became a "bible" at once for everyone who dreamt to beat blackjack and make it quickly: the principles of blackjack strategy were described and explained step by step by the author, and Beat the Dealer had become a nightmare of all casino pit bosses. Some casinos even tried to change blackjack rules somehow to prevent card counting after Thorp's book publishing. In 1966 the second edition of the book saw the light, and Beat the Dealer had become even more popular among blackjack admirers: many professional gamblers started their learning of blackjack from reading this book. Today he is a president of "Edward O. Thorp & Associates" (Newport Beach). To know more about this wonderful person, read here.